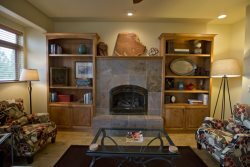 Contact Property: Meadowbrook Drive_2 Meadowbrook Drive 2 sleeps 8, Easy Access to Downtown Bend Oregon, Close to Mt. Bachelor Ski Resort! Please send me email specials from Alpenglow Vacation Rentals, Inc..